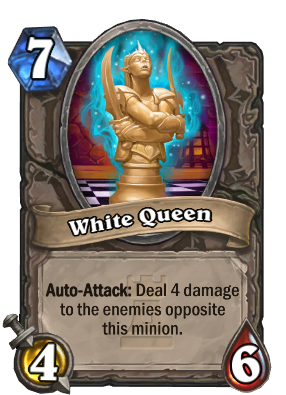 Auto-Attack: Deal 4 damage to the enemies opposite this minion. ...why i find her so hot?? You know, I wonder if Auto-Attack could work as a mechanic in constructed. What is this? This looks nothing like Emma Frost. Actually a smaller Ranga sounds interesting, maybe 6/2/6 with deal 5 to a random enemy. You know, something more late game than a Demolisher but not quite Ragna.